Lego is about to welcome a new arrival! A rather highly-anticipated birth is underway, with just a few hours until the world welcomes this tiny bundle of joy – isn’t it just the cutest?! Get ready Lego lovers, the very first Lego minifig baby is on its way. This adorable little guy was first revealed earlier this year at several toy fairs, and Lego has just let us know via a proud parent moment on Facebook, that the birth is imminent. It’s a big day! The first ever LEGO baby minifigure says HEY! to the world, arriving with the LEGO City 60134 Fun in the Park set, tomorrow June 1st ! The baby minifig will be part of a fabulous new Lego City set – Fun in the Park, which has been widely lauded for its inclusiveness. 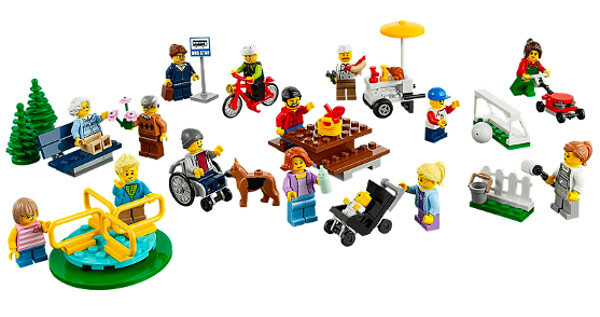 It has 14 minifigs (as well as the baby and a dog), including the first ever Lego boy in a wheelchair, and a stroller for the baby. It’s already anticipated that this will be one of the most popular sets released by Lego this year – and we can see why! If you want to see what else is happening in the world of Lego, take a look through our Lego archive.